One of the items that caught my eye from the announcement of the new Spring Data release train named Ingalls was that the Spring Data Cassandra finally supports Cassandra 3+. So I revisited one of my old samples and tried it with a newer version of Cassandra. 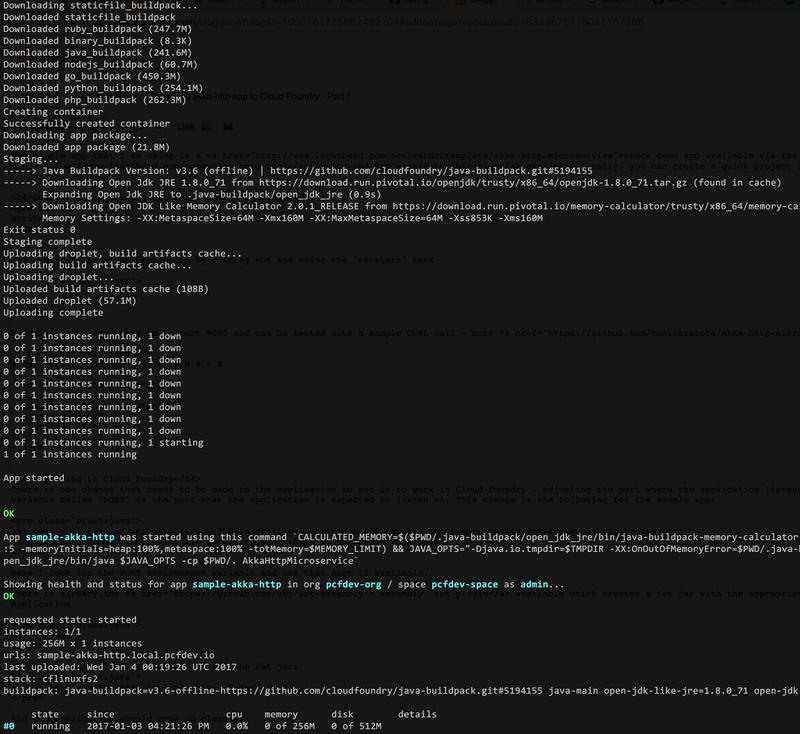 The first step is to install a local version of Cassandra and I continue to find the ccm tool to be outstanding in being able to bring up and tear down a small cluster. 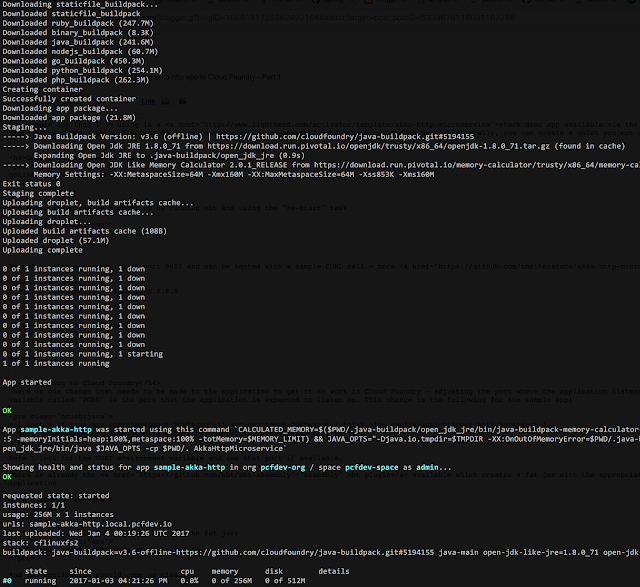 Here is the command that I am running to bring up a 3 node Apache Cassandra 3.9 based cluster. This repository is additionally inheriting from a HotelRepositoryCustom interface which is to provide the custom finders to support retrieval by first name and state. The custom interface and its implementation is to facilitate searching this table on queries based on first letter of the hotel name and is implemented this way through the a custom repository implementation feature of Spring data Cassandra. Given these repository classes, custom repositories that provide query support, the rest of the code is to wire everything together which Spring Boot's Cassandra Auto Configuration facilitates. That is essentially all there is to it, the Spring Data Cassandra makes it ridiculously simple to interact with Cassandra 3+. Gradle Plugins DSL is a new gradle feature which provides a very succinct way of adding a plugin to a Gradle based project. A good way to show the utility of this new mechanism is in how it simplifies a sample Spring Boot based gradle build file. This IMHO reads far better, though it does require some level of mental parsing. The best way to understand this new syntax though may to know that this works in concert with the Gradle plugins portal, a centralized repository of plugins, to resolve the plugin related dependencies. The page for the Spring Boot plugin is here - https://plugins.gradle.org/plugin/org.springframework.boot. It is easy to deploy an akka-http application to Cloud Foundry. I experimented with a few variations recently and will cover ways to deploy an Akka-http based REST app in two parts - first a simple app with no external resource dependencies, the second a little more complex CRUD app that maintains state in a MySQL database. A quick way to get a running Cloud Foundry instance is using PCF Dev, a small footprint distribution of Cloud Foundry that can be started up on a developer laptop. Here I look for the PORT environment variable and use that port if available. And the application should come up cleanly. That is all there is to it - if say some customizations need to be made to the application, say more jvm heap size, this can be easily done via other command line flags or using an application manifest. The process to deploy with external resource dependencies is a little more complex and I will cover this in a follow up post.